Rail transportation for mining, quarries, logging, tunnel construction, steel making, road construction was one of the VITAL links for the industrial revolution. It was an extremely competitive market and a race who could build that best locomotive for each unique rail haulage needs. Ton for ton rail today is still one of the most economical ways to transport goods and materials throughout the world. 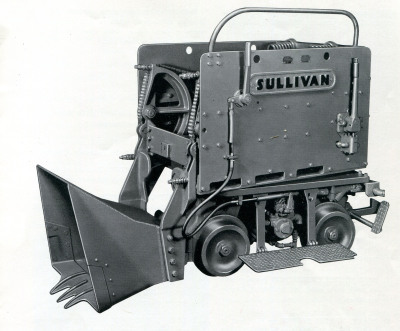 Mining equipment was has been developed the past 100 years from the traditional pick and shovel to a completely computerized piece of high tonnage production modern marvel. This section is dedicated to the inventions that revolutionized mining. From back breaking manual labor to a modern safe working environment. 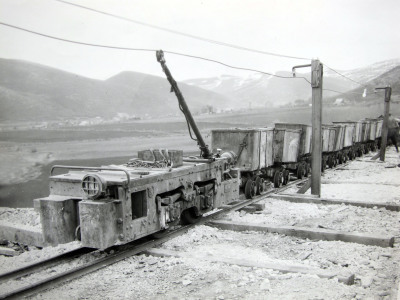 Mine cars were developed to any specific size that were economical to transport material effeciently. From ore cars to mine cars material had to be moved across the rails. Tonnage was the name of the game. Who could move it the quickest, safest and cheapest way possible stayed in business. Industry demanded the harshest conditions for immediate results.